When Steve Biegun decided to retire from Ford Motor Co., he didn’t initially plan to return to a job in the federal government, where he had worked for decades as a foreign policy expert before assuming the role of Ford’s vice president of international governmental affairs. So much for best-laid plans. Instead, U.S. Secretary of State Mike Pompeo appointed Biegun, ’86, to the critical position of special representative for North Korea, mere months after President Trump’s June 12 summit in Singapore with Kim Jong Un. In his new role, Biegun directs U.S. policy toward North Korea and leads the administration’s efforts to achieve the goal of the denuclearization of North Korea. While sitting in an airport between flights in late December—and shortly before the Trump administration announced the president and Kim Jong Un are communicating through letters ahead of their second summit at the end of this month—Biegun spoke with Michigan Alumnus about his new job and his years at U-M. He couldn’t say where he had just flown from, but he was headed to Traverse City, Michigan, for the holidays. You’ve had many government jobs—national security advisor to Senate Majority Leader Bill Frist, senior staff member to National Security Advisor Condoleezza Rice, and chief of staff of the U.S. Senate Committee on Foreign Relations. How did your new job come about? In June, the president held his summit with Kim Jong Un, and I learned there was an opening at the State Department for someone to lead diplomatic efforts with North Korea. A mutual friend recommended I talk with Secretary Pompeo. I had my first conversation with him while he was on a plane flying out of Singapore after the summit with the North Koreans. We spoke over the summer a few times. I then started Sept. 1. My job, on behalf of the secretary of state, is to head all diplomacy aimed at transforming relations with North Korea and to bring their weapons of mass destruction programs to an end. You’ve been involved in quite a bit of news, including commenting on the fact that Washington might be reviewing the travel ban for Americans to North Korea. What is it like to work on such issues? Many outside experts have been critical that the diplomatic opening we are pursuing with the DPRK was created in a most unorthodox manner, with a summit between Trump and Kim. And yet, it is clear to those of us working in the trenches that this was the only way to clear space for negotiations after 70 years of warfare and hostility on the Korean Peninsula. From that summit, it became clear that the leaders on both sides know where they want this to go. The challenge will be getting from here to there. How is the job going? It’s tough. There is a lot of history to contend with. But it’s my firm belief that we have to exhaust diplomacy to try to resolve this issue. I feel very passionate about that. Since I’ve been in the job for four months, and so far I’ve been to Seoul five times; Tokyo twice; Beijing twice; Pyongyang once; Moscow, Paris, and Brussels once; and spent a week at the United Nations. My wife has not seen me much, but I think this as an important way to serve. That’s something I learned at U-M—the virtues of public service. You studied political science and Russian. How did you get interested in the latter? I had a high school teacher who was teaching us European history. He wrote the word ”czar” in the Cyrillic alphabet on the blackboard. It was one of the most exotic things I’d ever seen. It left such an impression on me that I went to the town library and checked out a book to teach myself Russian. When I got to U-M and was choosing my two-year language requirement, I saw Russian 101. I loved the classes and the department, so I stuck with it for four years and ultimately had enough credits to double major. The professor who challenged me the most at U-M was Michael Makin. He is still there. He taught my son, who has since gone to U-M. He remembered me, which was really nice. Professors should never take for granted the impact they can have on a student. 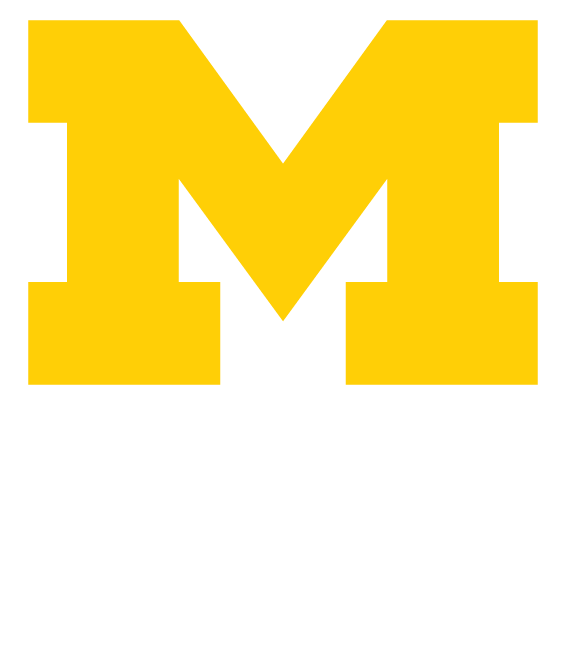 What was your time like at U-M? I loved it. I was a member of the College Republicans. My core beliefs were already relatively well developed. But college was a chance to test my beliefs and try to understand people who felt differently. I would have been a much worse person had I gone into an ideological echo chamber. It was a very rich experience for me. There was a point in my career, probably 20 years ago, where I realized I had used some dimension of everything I studied as an LSA student at U-M. Beyond my double major, the other classes I was required to take have also come into play. The LSA curriculum really does produce whole graduates and well-rounded people. Jennifer Davis, ’95, is a Washington, D.C., freelance writer and producer through her company, Jennifer Davis Media Group. You can connect with her on Twitter at @JenniferDavisDC.